On 2 November, Pakistan announced a ban on media coverage of terror groups like Lashkar-e-Taiba (LeT), Jamaat-ud-Dawa (JuD) as a part of a wider crackdown on terror. For the first time, Pakistan also acknowledged that the outfit led by Mumbai attacks mastermind Hafiz Saeed was a wing of the LeT. Pakistan Electronic Media Regulatory Authority (PEMRA) issued a notification to all satellite TV channels and radio stations about the ban on coverage of LeT, JuD and Falah-e-Insaniat Foundation (FIF) under United Nations restrictions. The PEMRA notification stated that the JuD and FIF are affiliations of Lashkar-e-Taiba. This is the first time that a Pakistani government department has admitted that JuD and FIF are directly related to the LeT. According to the notification, 60 proscribed organisations and 12 others have been placed under a watch list. The notification said the action has been taken against these organisations as part of the National Action Plan. Warning the media organisations, the notification said, "The Pakistani satellite TV channels and FM radios should strictly follow the direction, and in case of breach of code of conduct, fine may be imposed or license be revoked." PEMRA has also banned the electronic media from running any advertisement of these three organisations for collection of funds 'in the name of social work'. Is Obama behind this ban? It isn't clear whether the move to ban coverage of the three outfits is linked to Prime Minister Nawaz Sharif's assurance to US President Barack Obama last month to take 'effective action' against UN-designated terrorist individuals and entities, including the LeT and its affiliates. The National Action Plan was devised in January this year after the Peshawar Army Public School massacre in which over 150 people, mostly school children, were killed. In the aftermath of the attack, the government and military had decided to carry out operations in the tribal areas and take action against all terror organisations and their facilitators across the country. The UN declared the JuD a terror organisation and also individually designated Saeed as a terrorist in December 2008. The US has already put a 10 million dollars bounty on Saeed's head. 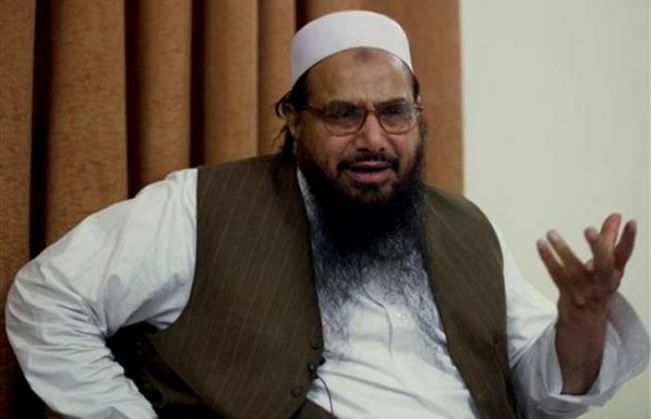 Saeed, who orchestrated the Mumbai terror attacks in 2008 in which 166 people were killed, roams around freely in Pakistan and makes anti-India remarks and speeches.